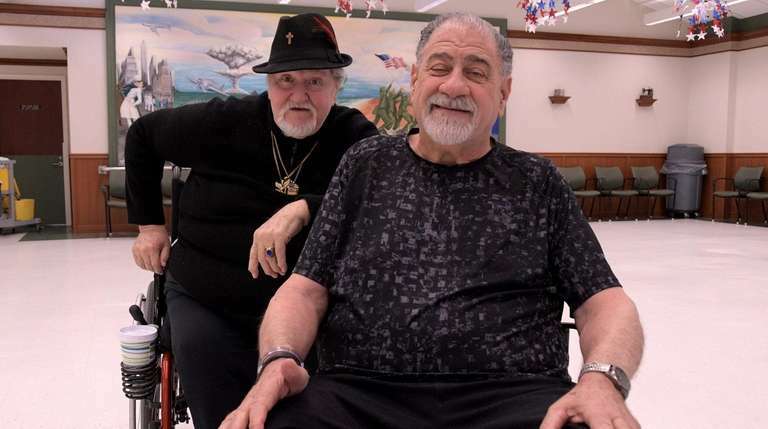 Saturday, the Long Island Air Force Association will present a Pentagon-authorized medal to 26 Vietnam veterans who live at a Stony Brook veterans home. Frank Macaluso remembers the athletic soldier he served with while guarding ships in a Vietnamese port during the war, a baseball phenom who looked forward to playing for the Phillies once his time in combat was over. The Army veteran from Oakdale also remembers hearing the grenade explosion that cost the young ballplayer his life. Vietnam veterans at Long Island State Veterans Home on Friday expressed ambivalence over receiving a Pentagon-authorized medal for their war service, saying it is nice to be recognized now but that too many of their brethren died before the nation became committed to acknowledging their sacrifices. “I’m tired of the phrase, 'Thank you for your service,' ” said retired Col. Peter Swenson, 77, of Center Moriches, who was a 26-year-old Army captain when he arrived in Vietnam in the aftermath of the Tet Offensive. Saturday, the Long Island Air Force Association will present the medal — a blue medallion suspended from a red, green and yellow ribbon traditionally associated with Vietnam — to 26 Vietnam veterans during a ceremony at the Stony Brook veterans home. In 2015, the Pentagon authorized the Long Island Air Force Association to design and present the medal as part of the Defense Department's Vietnam 50th Anniversary Commemoration Program, said Association president Fred DiFabio. The Pentagon initiative was designed to encourage nongovernmental organizations nationwide to salute local Vietnam veterans, in part to make up for the relative lack of recognition afforded Vietnam veterans in the decades immediately after the war’s end. DiFabio said his organization has distributed some 800 of the medals since 2015, and that area veterans who can show they served in Vietnam may apply for one via the Long Island Air Force Association's website. It has been nearly half a century since President Richard Nixon pulled combat troops from Vietnam. Yet for many of the more than 2.7 million Americans who once served there, emotions concerning the conflict that claimed the lives of some 58,000 U.S. GIs in America’s first clear-cut war defeat remain raw. Robert Nieves, 69, a former Army soldier who enlisted shortly after graduating from Smithtown Central High School in 1969, expressed similar sentiments as Swenson. Nieves said that, with the nation increasingly weary of war by the late 1960s, Americans mostly looked the other way as large numbers of returning soldiers were swallowed by homelessness, alcohol abuse, social isolation, anger problems and other psychological issues related to the stress of combat. He shed tears as he spoke. “This should have happened when America was still in Vietnam," Nieves said. Nonetheless, he said he would attend the ceremony out of respect for those who cannot. Long time coming: LI Vietnam vets get their dueMen who put their lives on hold -- and at risk -- to serve in the Vietnam War were given special recognition during a ceremony they described as immaterial.